Intermittent high-dose melphalan/prednisone (MP) treatment  is regarded by many clinicians as first-line therapy for patients with multiple myeloma. 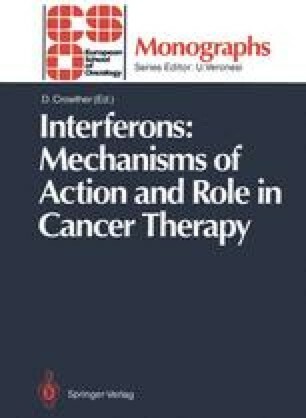 The introduction of intensive combination chemotherapy has not been shown to consistently improve the response rate or to prolong survival [2,3]. Since the overall prognosis for myeloma patients is rather poor, there is a need for better treatment modalities.